On October 1, 2005, the Kansas City Royals established a dubious team record when they recorded their 105th loss for the season, losing 10-1 to the Toronto Blue Jays. It was one of three out of four seasons during this time period that the Royals lost one hundred games or more. 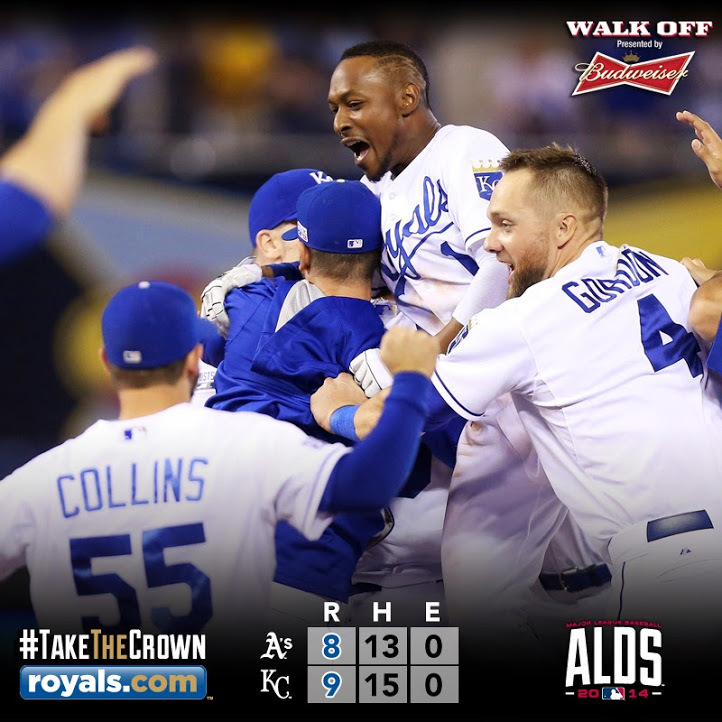 And last night, Kansas City defeated Oakland 9-8 in twelve innings to win the AL Wild Card game, their first postseason win in almost thirty years. They sure have come a long way! Ready for a “Show Me” Series? Amen and Hallelujah! It is truly amazing how one day can be the complete pits and a sleep and a shower later, it all gets turned upside down. Next up is the Astros.